2013 is shaping up to be a heck of a year for videogames. Sony just announced the PlayStation 4 and it is widely believed that Microsoft is set to release the next iteration of their consoles this year. With the rise of mobile gaming, apps, digital downloads and streaming it will be very exciting to see everything the next Xbox and PlayStation will be able to do. With both companies making a push recently towards making their consoles an entertainment hub and capturing the ever growing casual market the next consoles could very well shape the gaming industry for decades. But at the heart of every console are the games. And while the next generation may be just around the corner, this generation still has plenty of great tittles to offer fans. 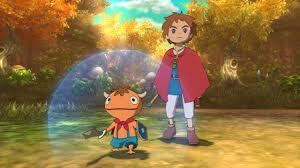 2013 has already seen the release of some great games like Ni no Kuni: Wrath of the White Witch, Dead Space 3 and Fire Emblem Awakening. However this article will focus on games yet to be released and while that still leaves too many great games to list here is my Top 10. The game that has been “coming soon” since it was originally announced in March 2011 is finally poised to actually be released… soon. 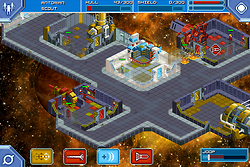 Star Command is a spaceship simulator that will have you managing crew and resources in a way similar to FTL and with the fashion sense of Star Trek. Unlike FTL, Star Command will let you customize your ship and give you more options for customizing your crew including skill upgrades. Since its original announcement developer War Balloon has run two successful Kickstarter campaigns and expanded its focus from just smartphones and tablet to PC and Mac as well. A soft launch was announced by War Balloon for January 2013 but they eventually decided against that due to negative fan feedback. But the fact that they were ready to even roll that out is good news to fans who have been waiting a long, long time for this game. Star Wars 1313 is a third-person action-adventure game that puts players in the role of a bounty hunter as they explore the subterranean world of the planet Coruscant, specifically Level 1313. Gone are the lightsabers and Force powers players may be used to from more recent Star Wars games. 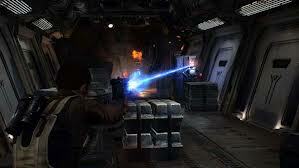 Instead Star Wars 1313 will have you using gadgets and blasters to survive the seedy underworld. While no platforms have been officially announced it is highly believed that this game will be released for at least the next generation of Xbox and PlayStation systems. Watch Dogs was one of the biggest surprises and most talked about games of E3 2012 and for good reason. Not much has been shown of this game but what has been shown looks incredible. The game looks similar to Grand Theft Auto, but with the ability to hack various electronics from people’s cell phones to the city’s traffic lights. Just like Star Wars 1313, Watch Dogs has been confirmed for the PlayStation 4 and is expected to be on Microsoft’s next generation console. 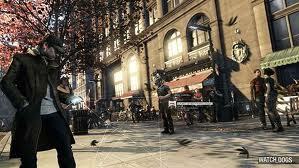 However unlike LucasArts, Watch Dogs developer, Ubisoft Montreal, has made it clear that Watch Dogs will be released in 2013. Say what you will about Skylanders but there is no denying that it is a juggernaut in kids’ entertainment. Activision recently revealed that the franchise has made more than 500 million dollars in the U.S. alone! That’s a big enough number to make both game studios and toy manufactures jealous. And in true Activision fashion a new Skylanders game has been announced for 2013. This year’s game is being developed by Vicarious Visions and will be the first in the series to be in hd. 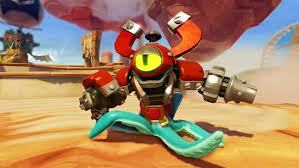 Just like last year’s giants, Skylanders Swap Force will be introducing a new type of Skylander, swappable figures. Swap Force figures will allow people to mix and match the bottom halves of one figure with the top halves of another figure. With 16 Swap Force figures set to be released there are sure to be some truly unique combinations available. Also announced are 16 new regular figures and 16 rereleased figures. But more important that all the new figures and high definition combined is that all Skylanders will now have the ability to jump. Kaos doesn’t stand a chance. The Walking Dead: The Game is a perfect example of how the game industry is changing. Originally released in five downloadable episodes The Walking Dead went on to win many Game of the Year awards for 2012. Featuring more story and character interaction than violence or action Telltale Games created proof that videogames can be mature and aren't just for kids anymore. It goes without saying that a sequel will be released however not much is known of has even been developed yet. Will our story choices from the first season carry over? Will the game be released as episodic content again or will we see it get a retail release straight away? One thing we do know is that this game is one to look forward to. Unless you've been living under a Geodude you know what the story is here. The Pokémon franchise has been successfully using the same basic formula for its core games for well over a decade now. This time around though, Nintendo is shaking things up. 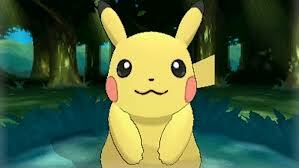 Pokémon X & Y will be the first core games to be in 3D. That includes battles as well. Pokémon X & Y will keep a pixelated art style and now the battles will have a similar look to Pokémon Stadium. The roster of monsters will include a mix of old and new creatures and the new setting looks to be the first one inspired by Europe. This will also be the first Pokémon game to have a simultaneous release worldwide. Pokémon has continued to be a quality franchise since its days on the original Game Boy and Pokémon X & Y look set to continue their tradition. Take a second and look at the picture above. That’s not a screenshot from the show or even a cut-scene from this game. That is a picture of gameplay. The South Park franchise is not known for qualities games but developer Obsidian, who is known for its quality games, looks ready to change that. 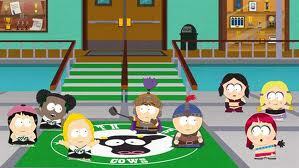 Working closely with show creators Matt Stone and Trey Parker, Obsidian has turned South Park into a turn-based RPG. And working closely with South Park Studios has allowed Obsidian to absolutely nail the look and sound of the show.  Originally The Stick of Truth had a release date of April 30th but then publisher THQ went out of business. Despite the objections of South Park Studios the publishing rights were sold to Ubisoft who immediately changed the release date to TBA. The original release date was meant to coincide with the start of Season 17 of the show but that has not been pushed back until September with less episodes to be produced. It makes sense for Ubisoft to release the game then and with the game basically done and already looking perfect they may take the time to prepare the game for next-gen consoles. As long as they get this game sometime South Park fans could care less. 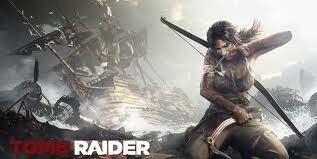 Lara Croft is arguably one of the best known female videogame characters of all time. Crystal Dynamics’s reboot of the Tomb Raider franchise looks to show the origins of the character and to create a Lara that will appeal to female gamers as well as male gamers. The new Tomb Raider has drawn comparison to the Uncharted franchise, and that’s not necessarily a bad thing. Tomb Raider looks set to give gamers an exciting story, one that is packed with action and adventure and focused around a believable, realistic Lara Croft. Speaking of Uncharted, Naughty Dog's newest game has been hotly anticipated since it was first announced. 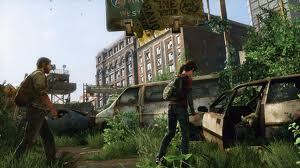 The Last of Us is a survival horror action-adventure game set in a post-apocalyptic United States. 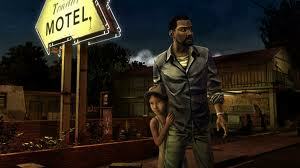 The game puts players in control of Joel as he helps a young girl, Ellie, make her way through the U.S. But unlike The Walking Dead: The Game's Lee and Clementine, Ellie is more of a teammate to Joel than someone he needs to safeguard. With incredible visuals and impressively realistic enemy AI The Last of Us looks ready to be a contender for many 2013 Game of the Year awards. Rockstar is releasing a new Grand Theft Auto. If that alone didn't sell you on the game then you've probably never played a Grand Theft Auto game before. Rockstar seems poised to outdo themselves again with what looks to be a massive game. 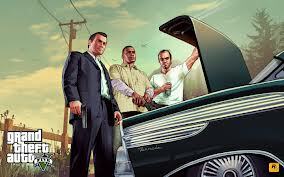 How massive is GTA V? Well first off the game has three main protagonists. If that's not enough the game's map will be bigger than GTA: San Andreas, Red Dead Redemption and GTA IV combined. A multitude of vehicles will be available including convertibles with working roofs, bicycles, jet skis, semi-trucks and multiple different options for air travel. Many returning side activities will be available as well as all new side activities like yoga, jet skiing base-jumping, tennis and full-course golfing. Not enough? 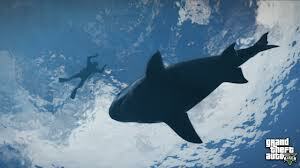 How about side missions, random character encounters, dynamic music specific to certain mission and events, dynamic missions (think Red Dead's "Random World Events"), a fully explorable ocean floor and even a functioning eco-system including animals like dogs and sharks. That's right. Sharks. Rockstar is known for their great storytelling in both scope and content and Grand Theft Auto V looks on track to be bigger and better than anything they have done to date. It doesn't come out until September, but there's no doubt it's worth the wait.